For the first time ever, I don't think I'll be buying a new winter coat this year. In a way, I'm very excited about this--I've always hated winter, particularly those long, long months in the first of the year. But it's also a little bittersweet, because I love coats. I feel like your coat really sets the tone for the season, and you almost have to love it, because you wear the hell out of it for four or five months. I also love seeing coats on the runway, and for fall, it was all about a menswear-inspired look with a double-breasted, somewhat boxy silhouette. I may not actually be investing in one of these beauties, but please buy one and allow me to live vicariously through you. 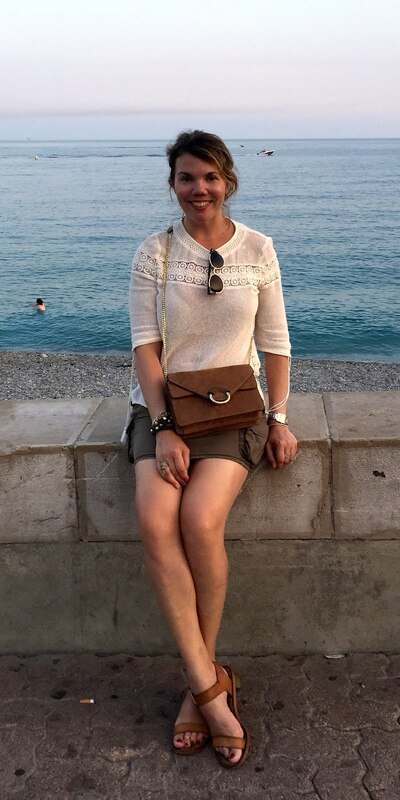 I feel like I'm constantly featuring Stella McCartney here, and for good reason--she's one of those designers who manages to be directional and yet totally wearable. 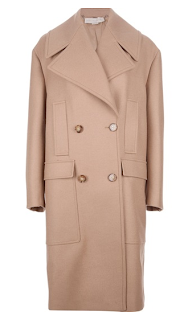 I'm a sucker for camel coats, and her boxy peacoat is a great-looking update. 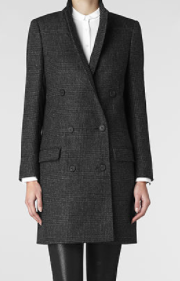 I love the super-wide lapel, which counters the shape with a nice softness. 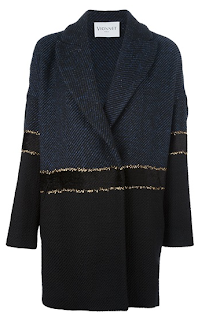 Vionnet's boxy tweed coat is a bit more fashiony, with interesting-looking stripes in a quietly glamorous metallic thread. Bonus: It will be easy to find in a coat room at a party. Thakoon is one of my favorite designers (I confess, I will truly miss his twice-yearly sample sale), and while this plaid coat from his Addition line isn't for everyone, I completely adore it. It has an almost grandpa-esque vibe, but his clothes are always cut so well, the end result will be nothing but feminine. I am a flag-waving Steven Alan fan, yes, but I particularly loved his fall/winter show, which was all about slightly boxy, totally borrowed-from-the-boyx looks. 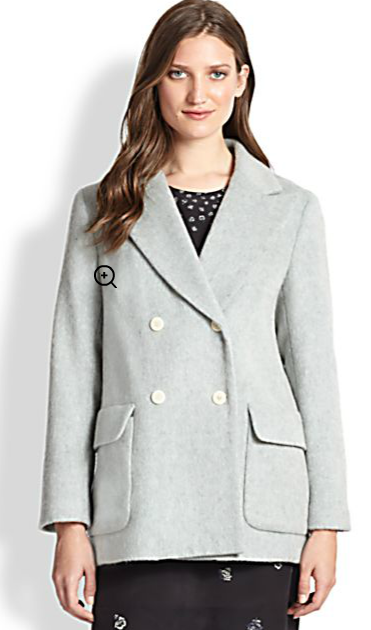 And since I was shopping the show while I was there, it's a quite convenient that one can now purchase from it, especially this double-breasted felt coat, which might be lightweight enough to actually wear here. 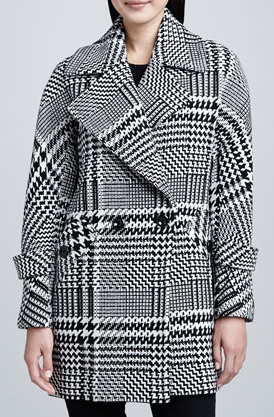 Speaking of the runway, I also remember this wool check coat from Trina Turk. While her presentation had a '70s vibe, this style is almost a little '80s with its oversized silhouette. 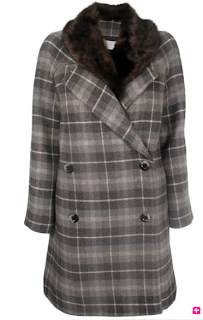 It also looks incredibly warm and sumptuous, which is an important quality in a coat. Of course, if it's menswear you want, a safe bet is AllSaints, which is a British company and thus totally boss at tailoring. Their Berta coat features a custom-made glen plaid fabric from Mallalieus of Delph, which sounds like a Game of Thrones character so, hey, sold! This military-inspired double-breasted coat, at $78, might just be the most expensive thing for sale at Forever 21. That said, it seems like a pretty good bargain, and I like the slightly unconventional olive color. Speaking of unconventional color, I can speak from experience when I say nothing fights seasonal affect disorder like a bright red coat. I had a Marc Jacobs one for years that, to this day, makes me smile when I think of it. 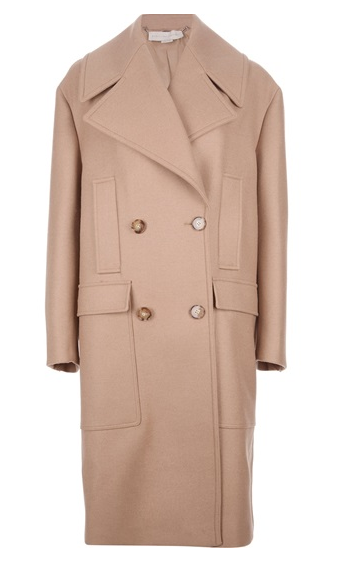 This ASOS double-breasted coat has a rich burgundy shade that's deep enough to cover up winter grime too. Of course, if you've made it this far and price is an issue, I have a few simple words of advice for you: Just go to Zara. Seriously. There are so many great coats there, you'll probably end up buying more than one, and considering this lovely double-breasted wool coat is $60, you can almost afford to get one in each of its four colors (although I'm partial to the green), which is one for every month of winter misery. Sounds like a silver lining to me!